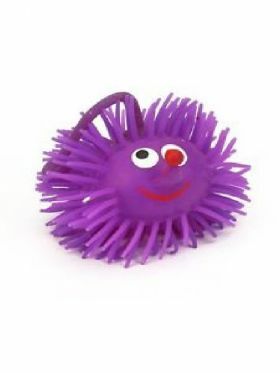 Each face is approx 2" wide including its soft spikes, is made from soft tactile flexible rubber and is air filled, allowing it to be squished and squashed easily. 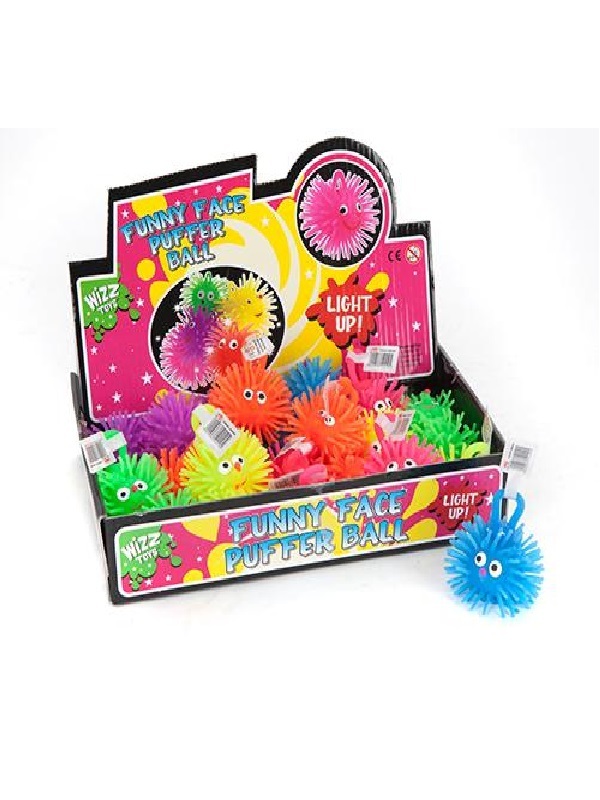 It contains a flashing LED unit inside which is activated when you shake, tap or bounce the face. It will flash for 10-15 seconds before automatically switching off, extending battery life (which is non replaceable). 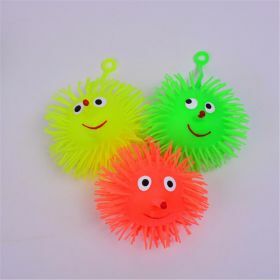 BLUE, GREEN, YELLOW, ORANGE, PINK and PURPLE.